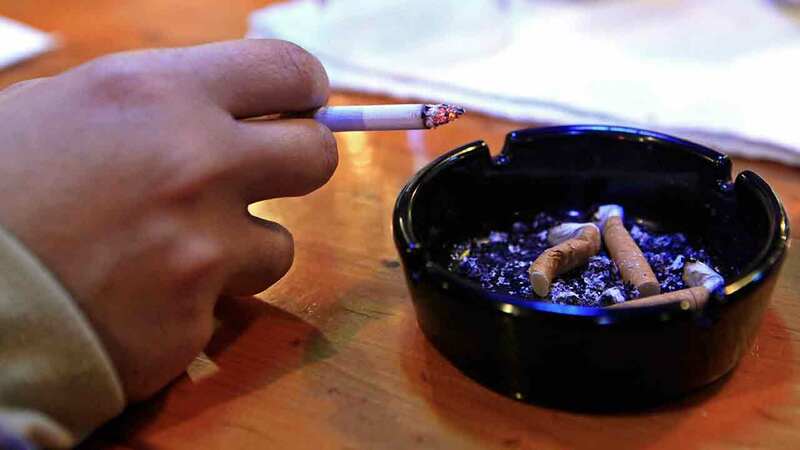 This file photo shows an ashtray with cigarette butts. We "are giving young people more time to develop a maturity and better understanding of how dangerous smoking can be and that it is better to not start smoking in the first place," Christie said in a statement. "My mother died from the effects of smoking, and no one should lose their life due to any addictive substance." A reduction in smoking-related health problems also would ease the strain on the state's health care system, Christie said. Hawaii, in 2015, became the first state to do so. California followed suit a year later. A bill that raises the minimum age to 21 to purchase tobacco products in Oregon is awaiting the signature of Gov. Kate Brown, a Democrat. New Jersey's new law applies to e-cigarettes, as well as conventional tobacco products, and triggers fines against anyone who sells, gives or offers such products to someone younger than 21. It goes into effect November 1.